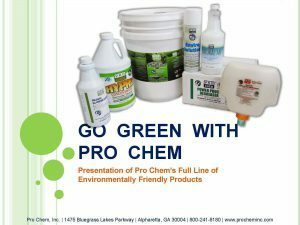 Pro Earth Coil Cleaner | Pro Chem, Inc. 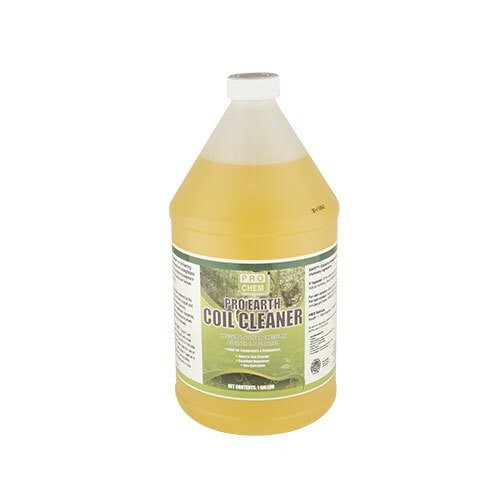 PRO EARTH COIL CLEANER is a heavy-duty, concentrated, nonfoaming, neutral cleaner and degreaser that is ideal for use in healthcare, residential, hospitality and commercial applications where high pH or low pH cleaners are not permitted. It is for use on evaporator or condenser coils in heating and air conditioning units, permanent-type and electronic air filters, as well as heat pump units. Will remove grease,oil, grime and dirt etc., when used as part of a regular maintenance program. Dilute PRO EARTH COIL CLEANER 1:4 parts with water and apply with a low-pressure sprayer. Leave on coils for 5-7 minutes then flush with water. 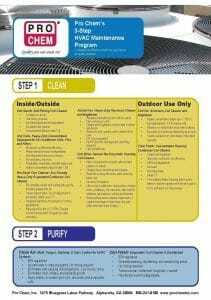 Can be used on built-up roofs, etc., where acid/high pH cleaners may cause damage. Dilute 1:7 parts water if used as a no-rinse evaporator cleaner. Proper housekeeping processes must be followed. Can be safely sewered without any pH adjustment in most jurisdictions. CAUTION: Avoid skin/eye contact. Wear gloves, protective clothing and goggles when using. Use in well-ventilated areas. Do not breathe vapors.